After a hard day’s wandering in the geothermal parks, white water rafting, zorbing, or just being a badass backpacker, it is important to find the best backpacker hostel in Rotorua. 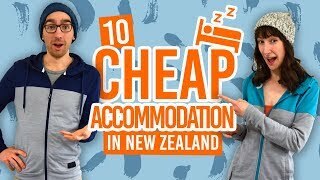 Let us assist you with that with this list of backpacker hostels in Rotorua! There’s a mix of comfortable homely hostels, party hostels and hostels with a heated pool in Rotorua. With so many adventure activities and natural wonders to see, you’ll want to spend more than a couple of days here. Make sure you check out Rotorua – Guide for backpackers and 10 Free or Cheap Things to do in Rotorua to keep yourself occupied while you’re here. So here are the backpacker hostels we love the most in what some call “Roto-Vegas”. It doesn’t get funkier than the Funky Green Voyager. 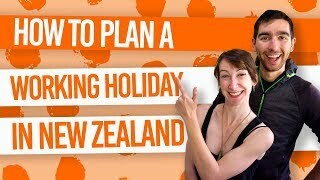 This small but homely hostel is famous for its super helpful staff, but we really dig the conservatory and backyard for proper Kiwi barbecues. Check Funky Green Voyager out! So-called for the view of the 17m climbing wall from the floor-to-ceiling windows, the Rock Solid Backpackers is a cool place to hang out with a free pool table, table tennis, video games and unlimited WiFi! Check Rock Solid Backpackers out! Base is never too far away from the party. Check out its partner bar next door with some super drink and food deals. In the spirit of geothermal Rotorua, relax in the heated swimming pool! With super friendly and knowledgable staff, Planet Backpackers has heaps of info on what to do in the Rotorua and Taupo area. Make use of the spacious kitchen and dining area, as well as a pool table, dart board and free unlimited WiFi! Free tea and coffee, plus rice, pasta, herbs and oil, a social activity each night including a beer pong and movie nights, and a spa pool: it’s the perfect place to crash! And yes, WiFi is free and unlimited! The fun-themed backpacker hostels is not exactly easy to miss! Step into the colourful and creative Cactus Jacks for all your basic facilities needed in a hostel, some funky places to hang out and a geothermally-heated spa pool. The purpose-built backpacker accommodation has plenty of space to stretch your legs, whether it’s in the kitchen and dining area or through the plant-filled courtyard to your room. It’s a hippy’s paradise! Spa Lodge is a backpacker hostel in Rotorua which is full of character with paintings all over the walls from past guests. There are plenty of cool places to lounge, including the natural hot spa! Astray is a compact backpackers that will blow you away with cleanliness and sleek decor. The backpackers and motel has a super convenient city centre location, so you can’t go wrong! What? No bunks? That’s right! Another thing to get excited about is that they have baths! How long has it been since you had a long soak in a bath? Alternatively, in true spirit of Rotorua, bathe in the spa pool. Check Rotorua Central Backpackers out! Now that you have decided to stay, check out what awesome things there are to do!